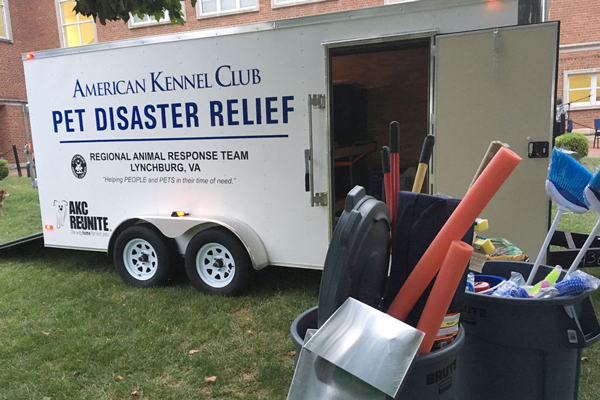 When disaster strikes, many people quickly realize that they have not made emergency plans for the shelter care of their pets. 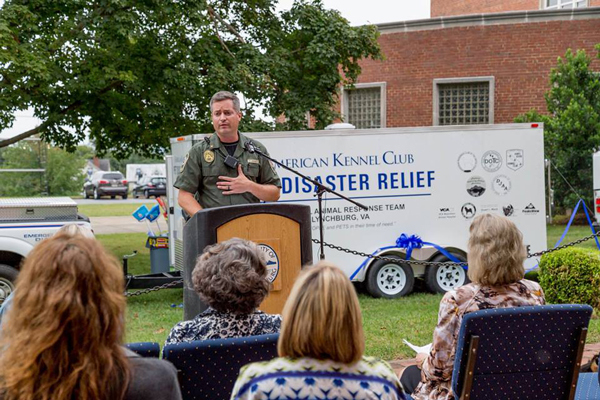 When they find themselves in such a situation, they are understandably hesitant to leave them behind. 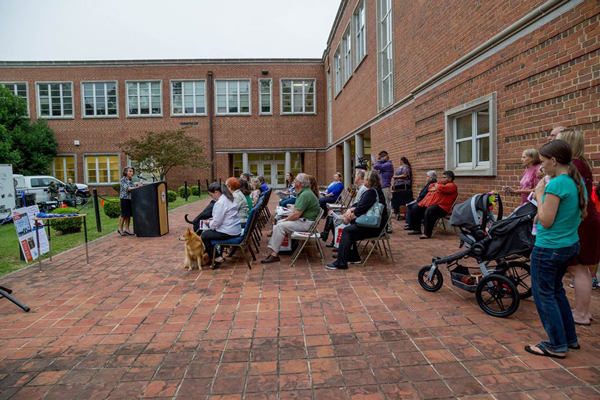 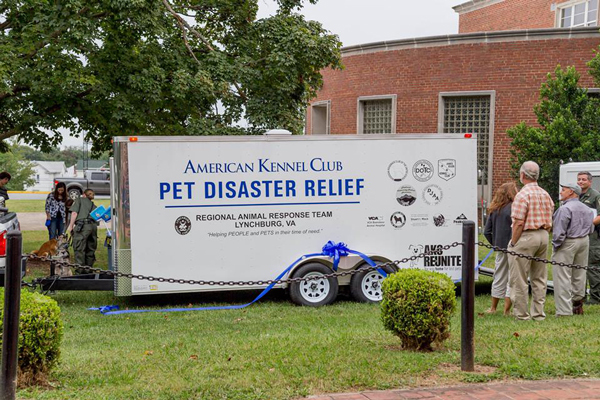 AKC Reunite, the City of Lynchburg and a number of community partners have worked to find a solution to this with the Regional AKC Pet Disaster Relief Trailer. 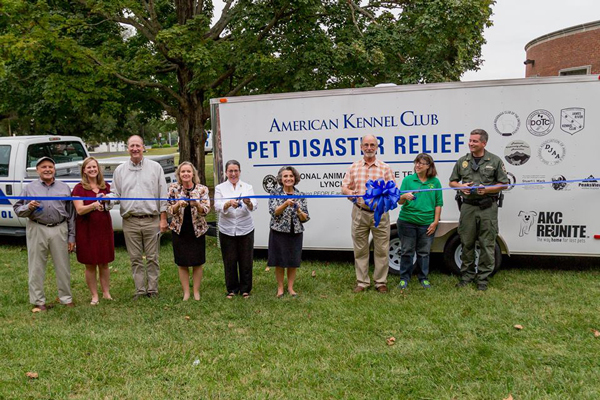 The purchase of the trailer was made possible by more than $22,000 in donations and grants from the Dog Owners Training Club of Lynchburg, James River Kennel Club, Lake Forest Animal Hospital, VCA Boonsboro Animal Hospital, Peaks View Animal Hospital, Piedmont Veterinary Medical Association, American Tibetan Mastiff Association, Dog Judges Association of America, Rhodesian Ridgeback Club of the United States, Finnish Spitz Club of America, Siberian Husky Club of America and AKC Reunite, the nation’s largest non-profit pet identification and recovery service.